Long break for Thanksgiving…Thanks for returning to see what’s new at Royals Then, Now & Forever. We’ll start with a few birthday greetings and look for some more facts, tidbits and stories in the days ahead. 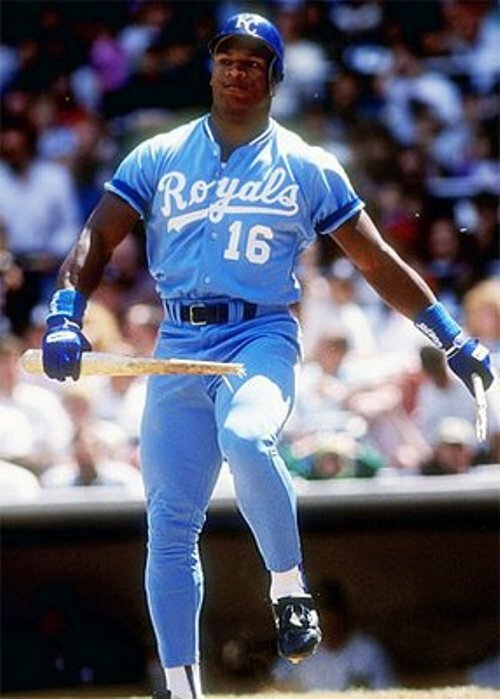 Did You Know: Although Bo Jackson is remembered as one of the greatest two-sport profesional athletes in history, he was not the first Heisman Trophy winner to play Major League Baseball. Who was the first? Vic Janowicz won the Heisman at Ohio State (1950) the year before Woody Hayes began his legendary career as the Buckeyes Head Coach. Janowicz played briefly for the Pittsburgh Pirates in 1953 and 1954. Strange Bowl Season Side Note: In 1950 Woody Hayes lead his Miami (OH) Redskins, now known as the RedHawks, to his first bowl game as a college football head coach. Believe it or not the game was the Salad Bowl in Phoenix where they defeated Arizona State 34-21 on January 1, 1951. It’s true…the Salad Bowl.